Kevin Simmers spent 30 years fighting the war on drugs, targeting users and dealers in Maryland. But when the opioid crisis hit closer to home, the former narcotics officer changed his perspective on addiction and began waging a different war on the drug problem. Simmers said he was inspired by President Ronald Reagan's call for a war on drugs to combat the crack epidemic in America. After graduating high school, he enlisted in the Air Force where he trained dogs to sniff out narcotics. In the early 1990s, he joined the Hagerstown Police Department and was assigned to the narcotics unit. Simmers eventually became part of a Drug Enforcement Administration Task Force. “It was really on the front lines of the drug war — in the trenches and chasing people down, locking them up,” he said. Simmers thought he was making a positive difference in people’s lives by locking up drug addicts. Then one day in late 2013 Simmers' 18-year-old daughter, Brooke, told him she had developed an addiction to the opioid pain killer Percocet and asked for help. Over the next year, Brooke struggled to get and stay clean, at one point telling her father she couldn't continue to live with addiction. 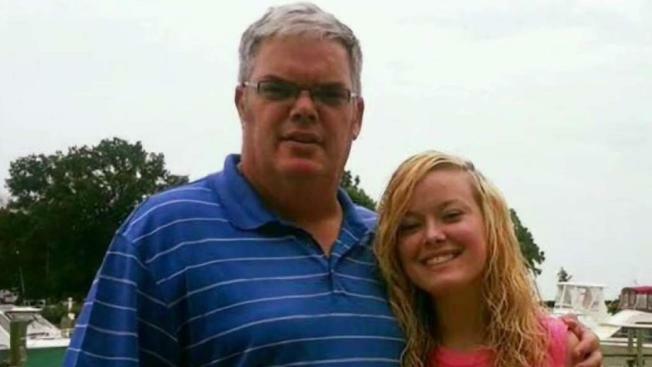 As Simmers sought help for his daughter, he got an in-the-field education on the administrative red tape and roadblocks addicts face when seeking treatment. Simmers became frustrated with a system that made addicts wait for care. According to Simmers, his insurance company initially refused to cover Brooke's in-patient addiction treatment because she wasn't deemed a critical candidate, approving her instead for daily out-patient classes. “No other disease do we treat people that inhumanely,” he said. Brooke dropped out after two weeks, telling her father that she had her addiction under control. A few months later, she relapsed and became addicted to heroin. After a near fatal overdose, Simmers became so frustrated he urged prosecutors to send his own daughter to jail as a last resort. Brooke would get out of jail and overdose one more time. “She drove to a nearby church where she played basketball as a kid and she crawled into the backseat of the car and she died there from heroin overdose,” Simmers said. Before she died, Brooke told her father she wished there was a place she could go live and get sober. Simmers and his wife set off to fulfill Brook's wish. They spent the next three years raising awareness, hosting fundraisers and convincing the local community to donate their time and resources to build Brooke’s House, a residential treatment facility for young women in Washington County who are in the early stages of substance abuse. On Tuesday, the Simmers honored their daughter with the opening of Brooke’s House. “Brooke prayed for that house; God answered her prayer,” Simmers said. Brooke’s House will be home for up to 16 women at any given time, and will be funded in part by the sale of chocolates made in-house. If you or someone you know is struggling with drug addiction, call the national hotline for drug abuse at 1-888-633-3239 to receive information regarding treatment and recovery.